The earthworks were spotted using Google Earth. 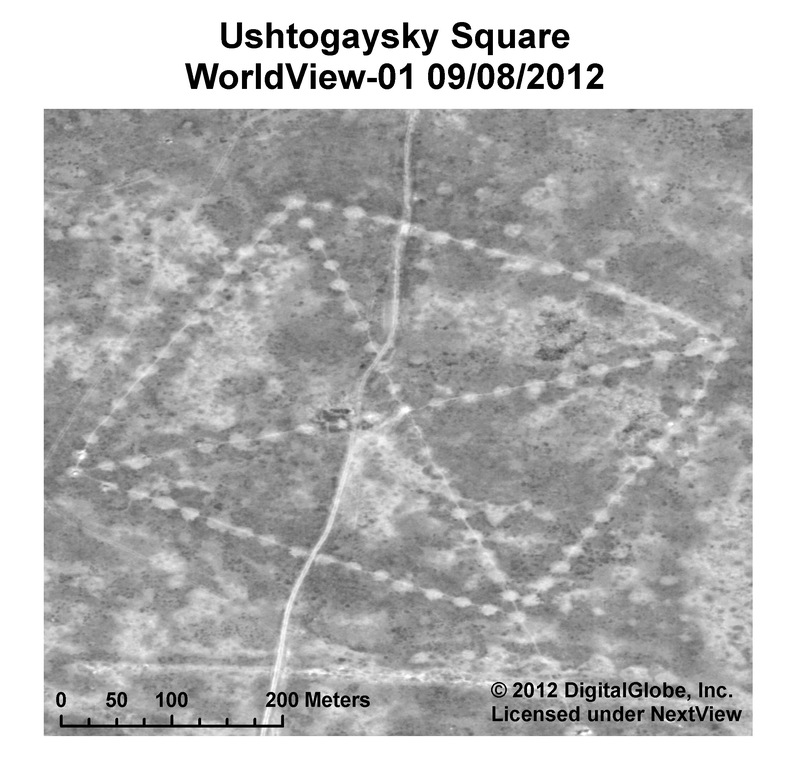 The so-called Steppe Geoglyphs remain deeply puzzling and largely unknown to the outside world. That leaves plenty of room for a writer’s imagination to fill in the blanks….